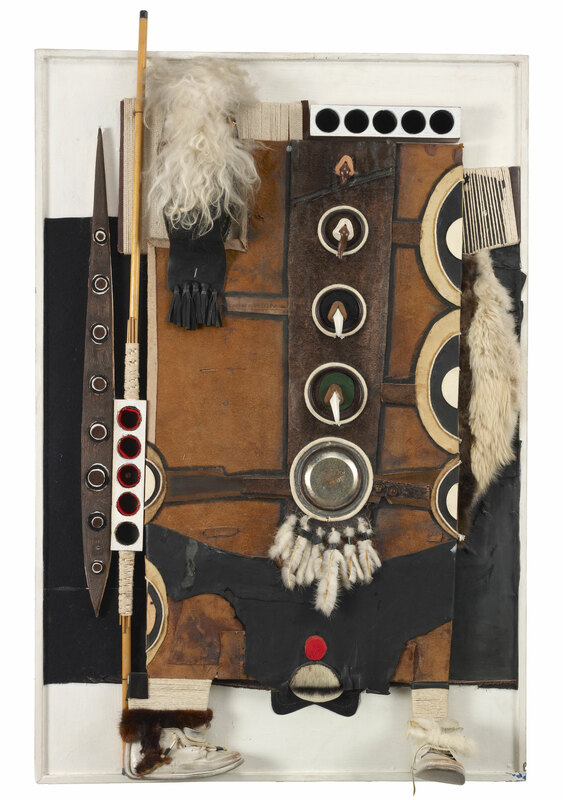 Noah Purifoy Zulu #4, n.d.
With Zulu #4, part of a larger body of work referencing Zulu culture, Noah Purifoy has employed the assemblage process to create a highly ornate, textured, and abstract low-relief sculpture. The Zulu are South Africa's largest ethnic group and suffered greatly under apartheid. Purifoy's interest in the Zulu culture can be understood as an extension of his interest in the African diaspora. The shoes "worn" by the figure are a motif seen throughout the artist's oeuvre. "Zulu #4." Now Dig This! Art in Black Los Angeles, 1960–1980 Digital Archive. Los Angeles: Hammer Museum, 2016. https://hammer.ucla.edu/now-dig-this/art/zulu-4.